1) Virtualization of many concurrent operating systems is better able to feed the CPU a lot of parallel threads of execution, better leveraging the hyperthreading the Core i7 offers than a single operating system, making this approximately $300 investment well worth it. Much more about this rationale at datacenteroverlords.com. 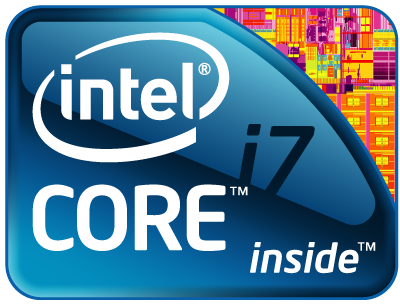 Find all the CPU speeds and feeds at anandtech.com and intel.com . 2) The Gamer oriented, better-for-overclocking 2600K is a great CPU for about the same price, but it won't allow VMDirectPath! Ouch! Imagine you wish to pass USB 3.0 through to a Windows Virtual Machine (say for offsite backups to external USB 3.0 drive for a Windows Home Server VM, for example), or thinking a little further ahead, perhaps a Thunderbolt (LightPeak) card someday, where you specify the device to pass thru in ESXi 5.0, and then you assign a particular VM to that device, installing drivers in that VM accordingly. And you probably want a CPU/motherboard combo that has built in video, since you don't need a watt-wasting discreet GPU for VMs. "Z68 Sandybridge Motherboard VT-d Test Matrix: Which Mobo/CPU combo works with VMware ESXi 4.1U1 VMDirectPath feature?"